Stenhousemuir climbed off the bottom of the Ladbrokes League One table with a 2-0 win at Queen's Park. Oli Shaw struck either side of half-time as Stenhousemuir gave their chances of avoiding the drop a welcome boost. The result sees Queen's Park drop off the pace in the battle for play-off places. Peterhead replace Stenhousemuir at the foot of the table after a 4-1 defeat at Livingston. Liam Buchanan, Scott Pitman and Joshua Mullin effectively settled the contest in the runaway champions' favour before the interval. James Redman grabbed a consolation for the visitors in the second half, but Daniel Mullen grabbed Livingston's fourth nine minutes from time. Andy Ryan scored a hat-trick as Airdrie replaced East Fife in the play-off places. 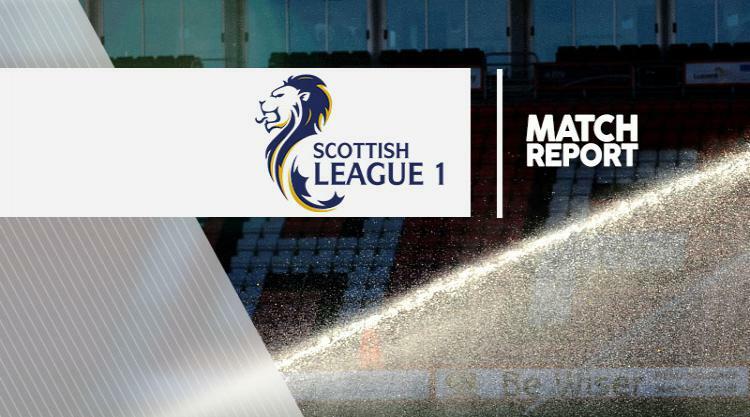 Airdrie ran out 4-0 winners against their promotion rivals thanks to Ryan's treble, while Christopher Kane was sent off for East Fife before Iain Russell scored a fourth. Brechin strengthened their play-off hopes with a 1-0 win over Albion, with Paul McLean scoring the decisive goal after 46 minutes. Kevin Cawley scored a last-minute winner for Alloa against Stranraer in a 1-0 victory.